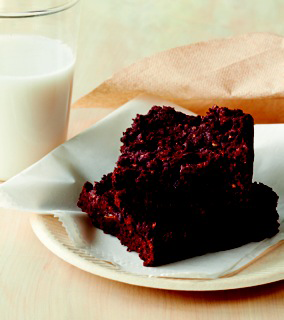 We are excited to share with you this amazing recipe for Cocoa Brownie's from our friend Terry Walters. Terry is the author of two highly acclaimed cookbooks — CLEAN FOOD and CLEAN START— and is at the forefront of the clean eating lifestyle movement. This ooey, gooey delicious recipe, Terry tells us, can also be used for cakes. The best part is that chocolate is one of our top recommended aphrodisiacs to get you in the mood! So, now the real big decision: cake or brownie?